Starting October 1, 2011 Facebook will require a valid SSL Certificate for all pages and applications hosted outside of Facebook. But what does this mean, exactly? How will it change the way you experience Facebook? The answer depends largely on how you use Facebook — as a user, developer, and/or business owner — and what applications you use most. Here is a breakdown of what an SSL is, who needs one, and how it will affect you.Starting October 1, 2011 Facebook will require a valid SSL Certificate for all pages and applications hosted outside of Facebook. But what does this mean, exactly? How will it change the way you experience Facebook? The answer depends largely on how you use Facebook — as a user, developer, and/or business owner — and what applications you use most. Here is a breakdown of what an SSL is, who needs one, and how it will affect you. Visit Facebook’s Developer Roadmap for this notice and other future changes that make require code modifications. Basically, it’s a security certificate. SSL stands for Secure Socket Layers, but it’s really just a way to encrypt digital information. Having an SSL certificate means that your website protects a user’s private information. Banks and online shops, for example, have SSL protection so your account and credit card numbers are protected. Why is Facebook Requiring This? Facebook is making an SSL Certificate mandatory for all websites and applications that use Facebook as a platform. Just as with banks, this requirement protects the privacy of the user. This is to protect you from having your information stolen. Hijacking an account used to be difficult, but it is easier than ever due to recent releases of more sophisticated spying programs. So, although your Facebook login is secure, the application or page you are visiting within Facebook (such as games) may not be, leaving you open to hijacking. How Will Facebook Change for Me? How the changes will affect you depends on many factors. But it basically breaks down into whether you’re a casual user or business owner. If you use the regular Facebook pages and not a customized design created by an outside company specifically for Facebook (i.e., a Facebook iframe app)you shouldn’t notice much difference. You might be unable to access some of your games or see content on some business pages. In these cases you will probably see a screen that asks you if you want to switch over to a non-secure connection. These alerts are actually in place now on Facebook—you can select secure connection (reflected by an https:// vs. http:// in the URL at the top of your browser page) or opt for a regular connection for pages without the SSL Certificate. These interruptions can be irritating sometimes, but remember that the system is intended to protect your privacy.Starting October 1, 2011 Facebook will require a valid SSL Certificate for all pages and applications hosted outside of Facebook. But what does this mean, exactly? How will it change the way you experience Facebook? The answer depends largely on how you use Facebook — as a user, developer, and/or business owner — and what applications you use most. Here is a breakdown of what an SSL is, who needs one, and how it will affect you. If you use the regular Facebook pages and not a customized design created by an outside company specifically for Facebook (i.e., a Facebook iframe app) you shouldn’t notice much difference. You might be unable to access some of your games or see content on some business pages. In these cases you will probably see a screen that asks you if you want to switch over to a non-secure connection. These alerts are actually in place now on Facebook—you can select secure connection (reflected by an https:// vs. http:// in the URL at the top of your browser page) or opt for a regular connection for pages without the SSL Certificate. These interruptions can be irritating sometimes, but remember that the system is intended to protect your privacy. As a business owner, you may have to do several things to make sure everything runs smoothly on Facebook and your web site. You will need an SSL Certificate if your Facebook page contains embedded content from your website. Even if you do not fall into any of these categories, you will need to make some basic changes to links. Any links on your website linking to Facebook will need to be updated to reflect the https:// vs. the http:// and vice versa if you do get an SSL Certificate. 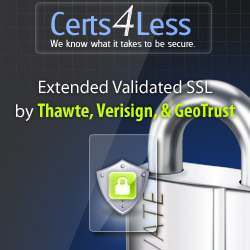 Where Can I Get an SSL Certificate and How Much Will it Cost? Major website hosting companies offer SSL Certificate options which can cost anywhere from $50 to $150 depending on the type of certificate. In many cases, a certificate may be included in your hosting fees, so check with your company to see what options you have. Customer service should also be able to walk you through the process of installing the certificate once you purchase it. There is one potential hurdle. For an SSL Certificate to work, you must have a static IP address. To save space and money, many web hosts issue you a variable IP address instead. Variable IP addresses don’t ordinarily present a problem, but if you do find you need an SSL Certificate, getting the necessary static IP address could be costly. Again, discuss your options with your web host company. Major website hosting companies offer SSL Certificate options which can cost anywhere from $50 to $150 depending on the type of certificate. In many cases, a certificate may be included in your hosting fees, so check with your company to see what options you have. Customer service should also be able to walk you through the process of installing the certificate once you purchase it. We make a the a strong recommendation to check out BigXHosing.com. These changes may seem like a hassle if you’re a business owner, but it is still very valuable to market yourself on Facebook. If you haven’t started your Facebook campaign yet, get going! For beginner’s tips, check out our article Facebook 101 and look for upcoming articles on Facebook marketing strategies. We can also help you set up a customized Facebook page! For more information on our Facebook Fan Page services, click here. These changes may seem like a hassle if you’re a business owner, but it is still very valuable to market yourself on Facebook.